I hope to be–I intend to be–a winner at the end of this month. 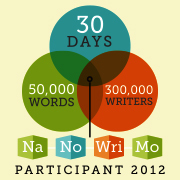 Best of luck to everyone else in this Iron Man of writing contests! ← How’s Your Social Media Relationship?